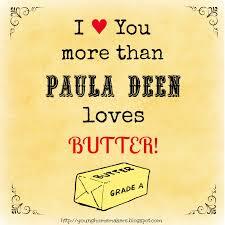 I think the reason I love butter is that I was denied it for so many years. You see, I grew up in the 1970s, and in those days, every housewife used margarine. They were told it was better for their families, and it was less expensive than butter, so they bought it. My mom was one of those housewives, and all I remember is sticks of margarine, or tubs of it, in our fridge. 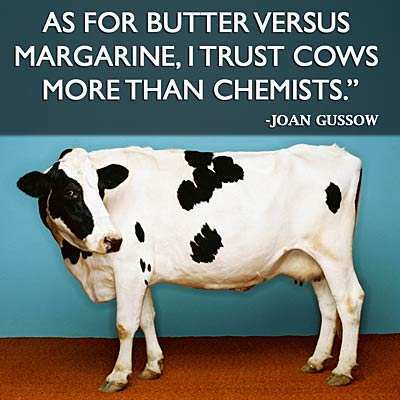 The only experience I had with real butter was once when mom had put a stick of real butter in the freezer, and one day, I pulled it out to use, since we were out of margarine. It had been up there so long it had freezer burn, and it tasted awful. So clearly, I thought I didn’t like butter. However, in later years, my eyes were opened to the fact that butter actually is really amazing! I had the real stuff when I met my future husband’s mom, Susan. She has never had a stick of margarine in her refrigerator since I’ve known her. Butter, y’all. So, I only use butter now, as it truly has superior taste and texture, and doesn’t have all those wacky chemicals in it! Well, I had some of the best butter of my life last weekend; it was made at Waldo Way Dairy farm in Mineola. It was so perfectly delicious that it was like the butter at my grocery store no longer had any flavor at all! Wow. Inspired by that experience, I decided to try my hand at making butter, too! My first experiment with it was today. It was really quite easy! I used two cups of heavy cream I’d bought yesterday at Local Yocal in downtown McKinney. That’s all it took. Place cold cream in mixer bowl of a stand mixer. Attach whisk attachment to mixer. Begin mixing on low, and in one minute, move speed up to medium. Keep beating until cream begins to thicken. Move up to medium-high, and notice it start to become whipped cream in a few minutes. Keep whipping! After a couple more minutes, you’ll see the whipped cream begin to separate into lumps, or curds. Keep whipping! You’ll next notice that the curds pull together, and there is liquid in the bowl. You’re almost there, and only about 8-10 minutes in! Remove butter from mixer bowl, and place in clean mixing bowl. Pour the buttermilk left behind into a jar or other resealable container, and refrigerate for another use. Pour ice cold water (literally with a few ice cubes in it…super cold) over the butter in the clean bowl. Knead it with your hands. IF water becomes cloudy, pour it off, and cover again with more ice water. Mix for a minute or so, and remove. Form a ball or whatever shape you want to have using plastic wrap and your hands. Wrap and store in the refrigerator. Yield: about 6 1/2 oz. butter (plus the buttermilk for cooking/baking). Note: The cold water bath, according to old recipes, will help to preserve the butter longer, but if you’re going to use it within a week, it is not necessary. Stephanie, you are up way too late. I grew up in the country and daddy always kept a Jersey cow for milk and butter. Talk about rich. Mother put the cream in a large fruit jar, probably a half gallon (too long ago for me to remember for sure). She just kind of shook the jar if she was busy she would sit the jar down and when she passed it by would pick it up and give it a few shakes. She kind of turned the jar more than shaking. When my kids were little I did the same in a pint or quart jar to show them how butter was made. I had forgotten about the washing, but yes Mother washed it and worked it like you said. Unfortunately her butter mold got lost in some move over the years. I would love to have it. If you get a lot of cream and want to go way back. I have a churn you can borrow. I have only used it to make pickles. Mother said churning was harder. I never tried it.